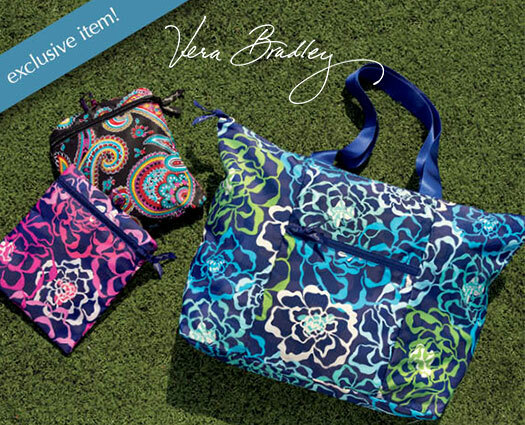 From July 9 – 12, this exclusive tote in a pouch from Vera Bradley is yours with any $75 or more spent on Vera Bradley! Perfect for saving space in your suitcase while on vacation! While quantities last. See store associate for details. Sales items excluded.